Principal and Director of Adams House Dental Practice. BDS Wales 2001, MFGDP UK 2007. Cert in Restorative Dentistry at the Eastman Dental Institute. GDC No.79539. Bann graduated from the University of Wales College of Medicine in 2001 and has worked in General Practice ever since. In 2007 she obtained her MFGDP qualification from the Royal College of Surgeons and has undertaken further post graduate experience in restorative dentistry. Bann graduated a further post graduate certificate in restorative dentistry from the Eastman Dental Institute. 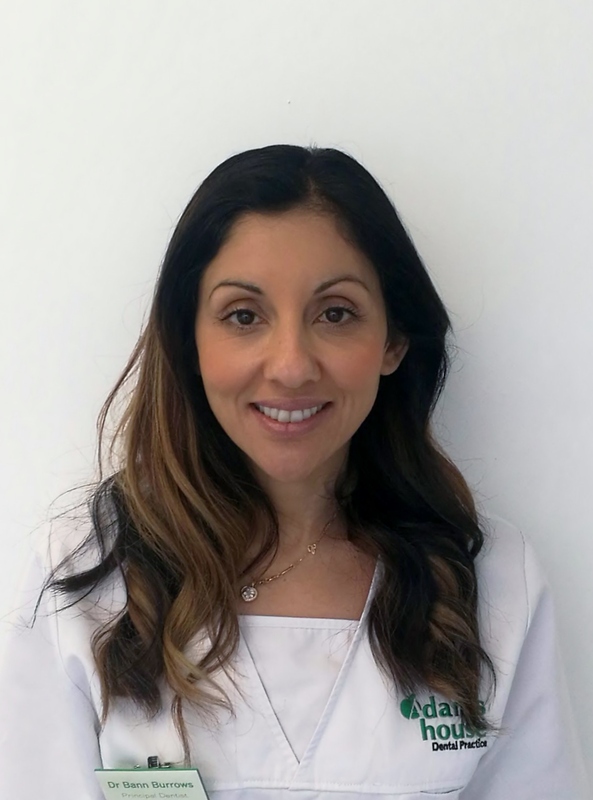 Her specialist area of interest is in Aesthetic Medicine, in which she qualified as a Level 7 Practitioner in 2018, and is now a mentor at the prestigious Harley Academy Clinic in London.